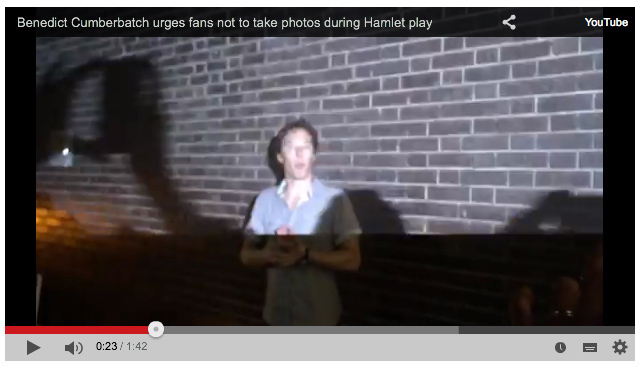 To be, or not to be a Hamlet photography crackdown after Benedict Cumberbatch plea? On Saturday, the British actor spoke to fans outside the Barbican in London, where he is set to play Hamlet until 31 October. The actor said he could see a red light in ‘about the third row on the right’ during his most recent performance. He added: ‘It’s mortifying and there’s nothing less supportive or enjoyable as an actor being on stage experiencing that and I can’t give you what I want to give you – which is a live performance that you will remember… rather than on your phones. The show is produced by Sonia Friedman Productions.